I’m a close friend of Marilyn Mayfield. You sent her some incredible garlic last year and she shared some of the bulbs with me. It was absolutely the finest garlic I have ever used and I do a lot of cooking. "This is the finest Garlic I have ever tasted. I eat large amounts and finely shopped a handful and threw it into my spaghetti mix w beef, tomatoes, onions, etc. This garlic is the best garlic I have ever had. Period. It has a slight sweetness to it, NOT sharp, not overpowering. At first I thought I I had forgotten to add it in but after another bite, I was in heaven! THE BEST DAMN GARLIC EVER!" The chef in my building now uses it too! I have tried to grow garlic befor with not much luck. Your garlic however and your helpful How to plant guide, gave me unbelievable large good and so flavorfull bulbs this year. Thank you, I'll be back for more. I lived in France for years and have never ever tasted Garlic like this before. Amazing! Gretchen, I wanted to Thank you for working with me on my last minute order. You were so accomodating and making my changes, and I was utterly impressed with the size of your bulbs. 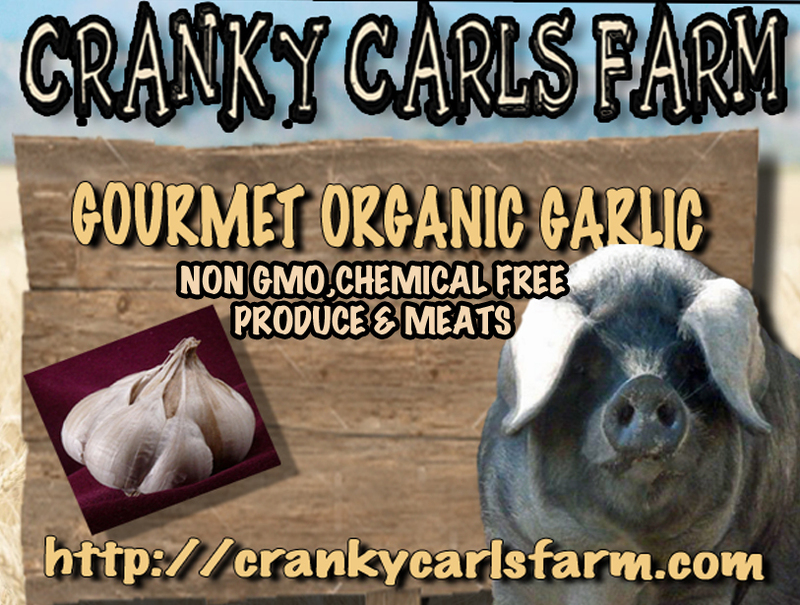 IF YOU WANT GOOD GARLIC, buy from Cranky Carls. I bought some large bulbs not expecting them to be as big as they were, Holy Smokes, One two inch bulb with only 4 cloves. So easy to peel and so full of flavor. I only have to use a quarter of what I normally use in my cooking.